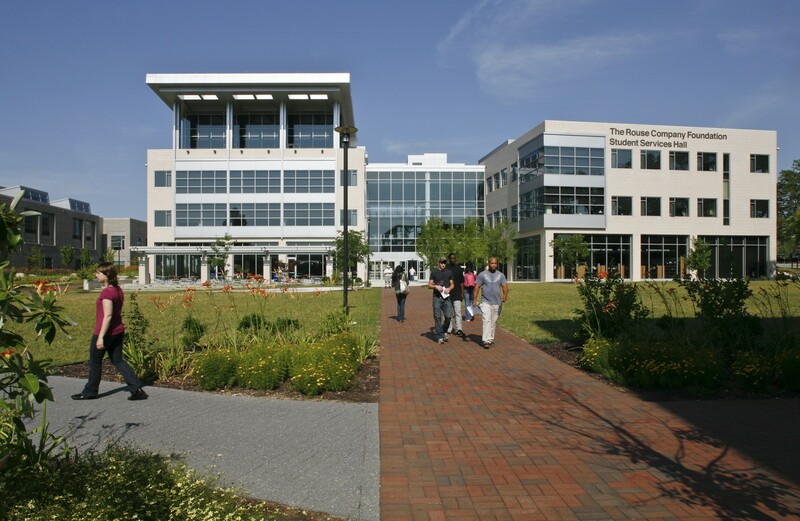 Howard Community College is a campus with nearly 7,000 students pursuing studies in a wide variety of educational programs. 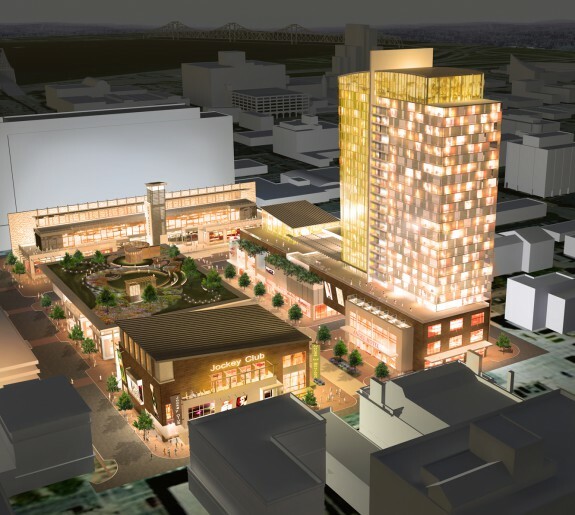 The 120-acre site, at the time of this plan, included six buildings generally arranged in a linear fashion and fronted by surface parking. Although the site included many natural amenities such as wetlands, ponds and stands of woods, they were not effectively embraced or integrated into the campus identity. The facilities master plan guides growth in five-, 10-, and 15- year increments. 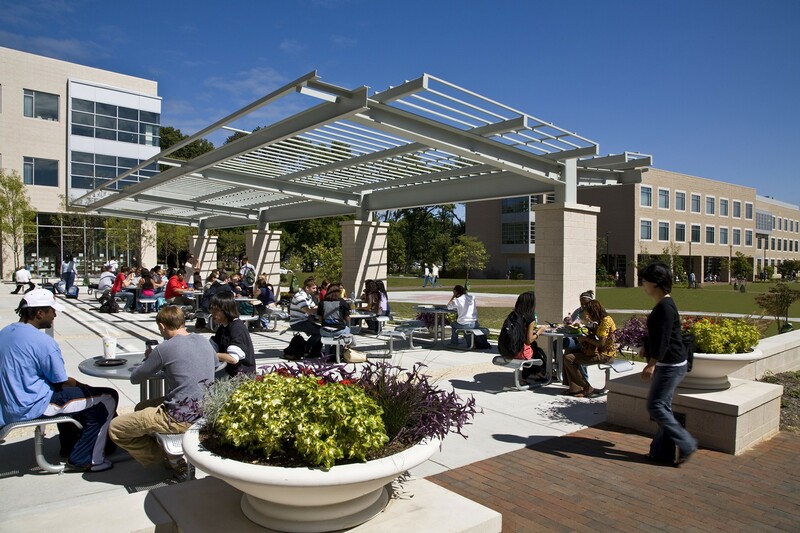 An assessment of space needs suggested the college had an overall deficiency of 333,000 NASF. Two new buildings, a Visual and Performing Arts Center and a Student Services Hall, were identified as immediately needed; both funded and completed since the plans adoption (both designed by Design Collective). Even with these two new major buildings, the College still faces a shortfall of 262,000 NASF by the year 2014. 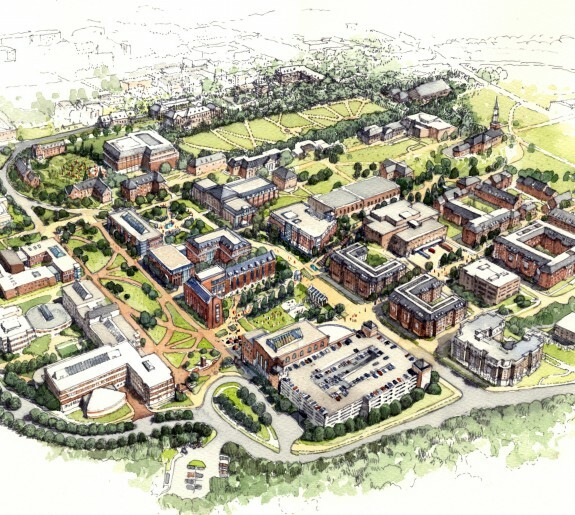 The final facilities master plan suggested five new buildings, in addition to the Performing Arts and Student Services buildings, based upon identified growth needs: a Nursing and Allied Health Building, a Science and Engineering Building, a Mathematics Building, an Athletic Complex, and a Social Sciences and Teacher Education Building. The plan organized these buildings around a new south quadrangle that preserves a Champion Beech tree. The new quad, together with improvements to the north quad, the central pond, various infrastructure improvements, and landscape recommendations combine to create visual, spatial and educational links throughout the campus, transforming the College’s character and identity.